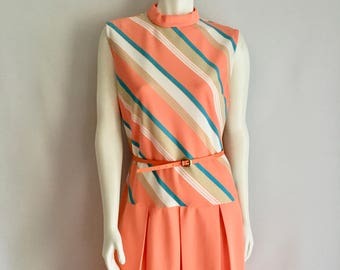 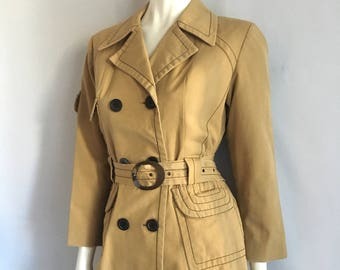 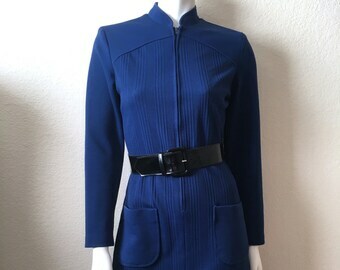 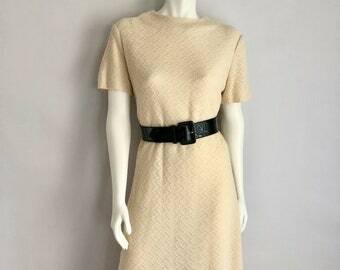 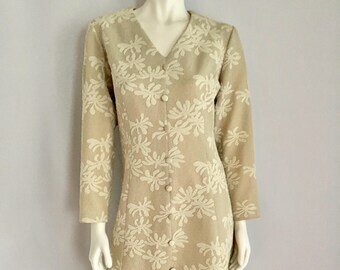 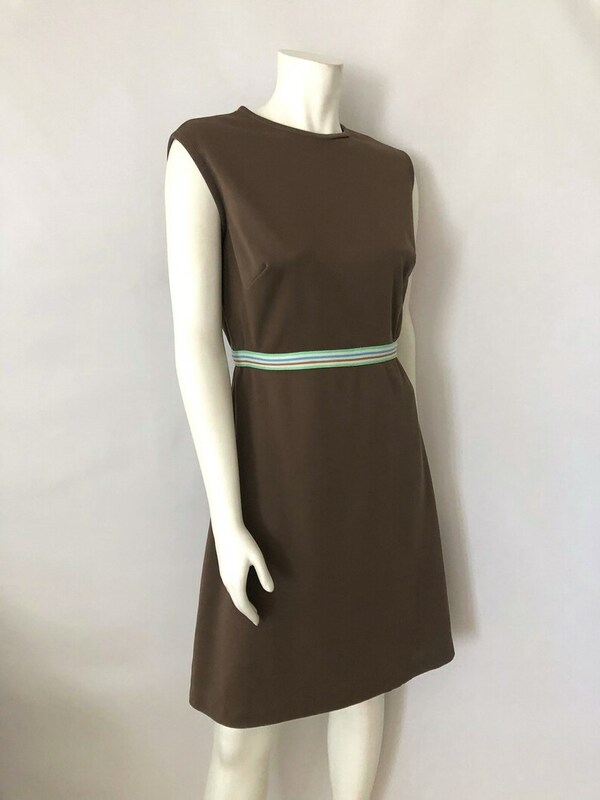 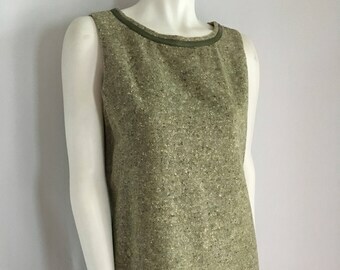 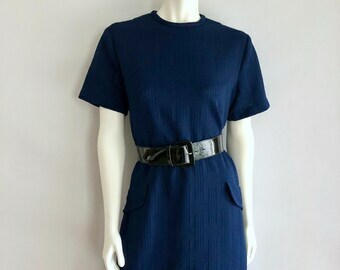 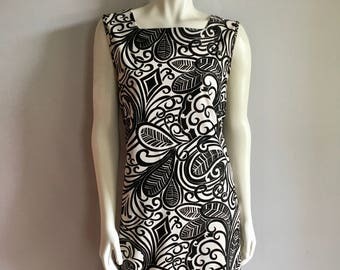 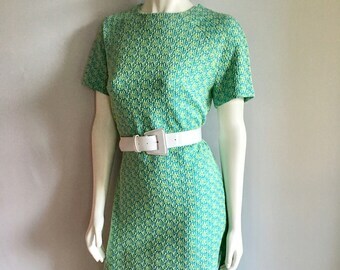 Vintage Women's 60's Mod Brown, Aline, Sleeveless, Dress (XL) This Ladies Dress comes in a brown polyester, is sleeveless, is knee length with a striped waistband in white, green and blue with a back zipper closure and crew neckline. 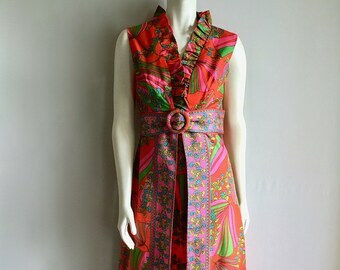 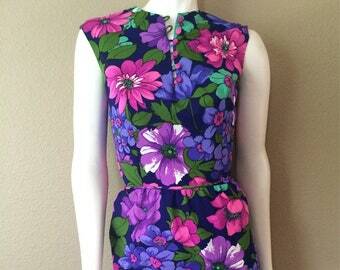 *This dress is in perfect condition, no stains, marks or tears of any kind. 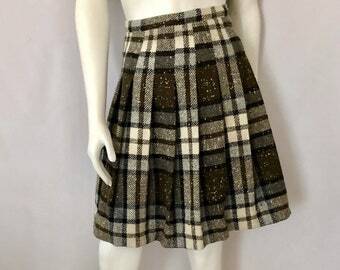 *If shipped in the US, this will go Priority Mail for a quick delivery!